We pretty much celebrate International Coffee Day every day of the year (What’s a morning without a cup or two of joe? A totally sad morning!). 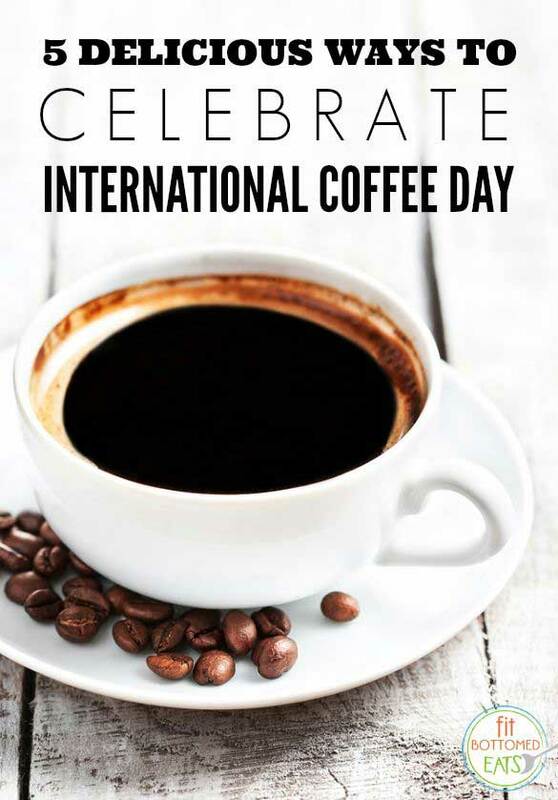 But today is actually International Coffee Day, so we thought we’d share five more unique — and tasty — ways to celebrate. 1. CoffeeFlour. Nowadays there seems to be a flour for pretty much every tastebud (almond, coconut, rice, cricket … the list goes on and on), but CoffeeFlour is not only totally interesting, but it’s also way sustainable and eco-friendly. Made from the surrounding fruit that is normally discarded from the coffee plant when harvesting beans, CoffeeFlour has floral, citrus and roasted fruit-type notes, making it perfect in things like breads, cookies, muffins and even pastas and beverages. CoffeeFlour doesn’t taste exactly like coffee, but for the true coffee lover, it’s the ultimate in no-food-wasted! 2. Grounds & Hounds. Wish you could do good with your coffee? (Well, besides helping your digestion and getting you through your work day?) This fair trade, organic, whole bean coffee donates 20 percent of its sales to no-kill rescue organizations that provide safe-havens for pups between homes. Warm coffee … warm fuzzies for International Coffee Day! 3. Chameleon Cold Brew Coffee. Whether you have it hot or cold, this “cold-brew” coffee is made by soaking the grounds in cold water for at least 16 hours and is totally delicious. Get it in ready-to-drink bottles or in concentrate form (mocha is our favorite!). 5. Cook with coffee. You probably already know that coffee is delicious in baked goods, but ever try cooking with it? From prime rib to jerky to tacos, coffee is a flavor that pairs so well with so many good eats.